Since 1950, two years after the adoption by the UN’s General Assembly of the Universal Declaration of Human Rights, 10 December has been celebrated annually as International Human Rights Day. Over the past year, we have played a key role in developing dialogues on a range of human rights issues, in line with the UK’s commitment to strengthening international mechanisms and legal frameworks as well as practical action on the ground. Our meeting in January 2012 Peaceful protest: a cornerstone of democracy. How to address the challenges? kicked off a year of discussions, underpinned by protests across the Middle East and North Africa and was the eighth in a series of human rights conferences sponsored by the Norwegian and Swiss governments. The ninth annual human rights conference, Integrating transitional justice, security and development, was held on 17-19 January 2013. 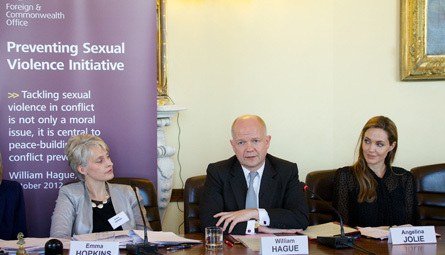 We have also aimed to focus on emerging issues in 2012, such as the role of business in human rights. Our June meeting on Business and human rights: implementing the Guiding Principles one year on aimed to assess progress in the implementation of the Human Rights Council’s ‘Protect, Respect, Remedy’ framework for businesses since the adoption of UN Special Representative, John Ruggie’s Guiding Principles in July 2011. Following from this, our conference on Burma/Myanmar, business and human rights: setting standards for responsible business held in November, addressed how businesses and governments can ensure that the impact of their investments in Burma are positive and guided by the aforementioned UN framework. The protection of women, children, and vulnerable groups in conflict and post-conflict situations has also been a major theme for us this year. In March we conducted a meeting in partnership with World Vision UK on Protecting children affected by armed conflict: advancing the agenda of the last 10 years. 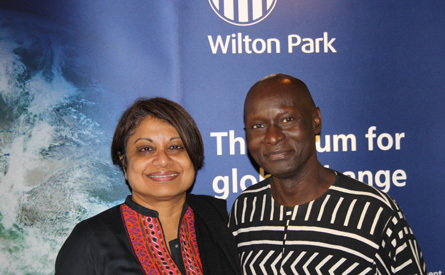 This year marked the 15th anniversary of the appointment of the first UN Secretary General’s Special Representative on Children and Armed Conflict, and we were pleased to host the then Special Representative Radhika Commaraswamy, at the conference, and one of her predecessors, Olara Otunnu. The Foreign Secretary, who hopes to deploy his dedicated expert team for preventing sexual violence by the end of the year, heard the concluding remarks from the conference discussions, particularly relating to how to galvanise concerted and effective global leadership. This included recommendations on how to use international mechanisms and legal frameworks; how to create institutional changes to establish a culture of deterrence; plus practical guidance on emerging situations such as Syria. We hope that the recommendations presented by such a broad range of experts during this meeting will contribute to the effectiveness of not only international efforts more generally, but to the actions of the 70-strong team about to be deployed. Finally, in association with the FCO and the Canadian High Commission, led by Visiting Programme Director, Cannon Dr Gary Wilton, Wilton Park held a December meeting on Combating intolerance and promoting freedom of religion or belief for all. Overall, the aim was to create a dialogue in support of the Human Rights Council’s Resolution 16/18, highlighting further Wilton Park, and the UK Government’s overall commitment to the global human rights agenda. Freedom of expression online: identifying and addressing challenges and developing a shared vision and a working partnership, to be held February 2013 in association with the Foreign and Commonwealth Office. Women’s participation in peace building and conflict resolution scheduled for March 2013, to be held in association with the Norwegian Ministry of Foreign Affairs, UN Women, and the Australian Civil Military Centre (ACMC).